Snakes are pretty scary, but at least when they’re in zoos or you’re watching them from the other side of a glass tank you can sleep safe in the knowledge that they can’t get to you. 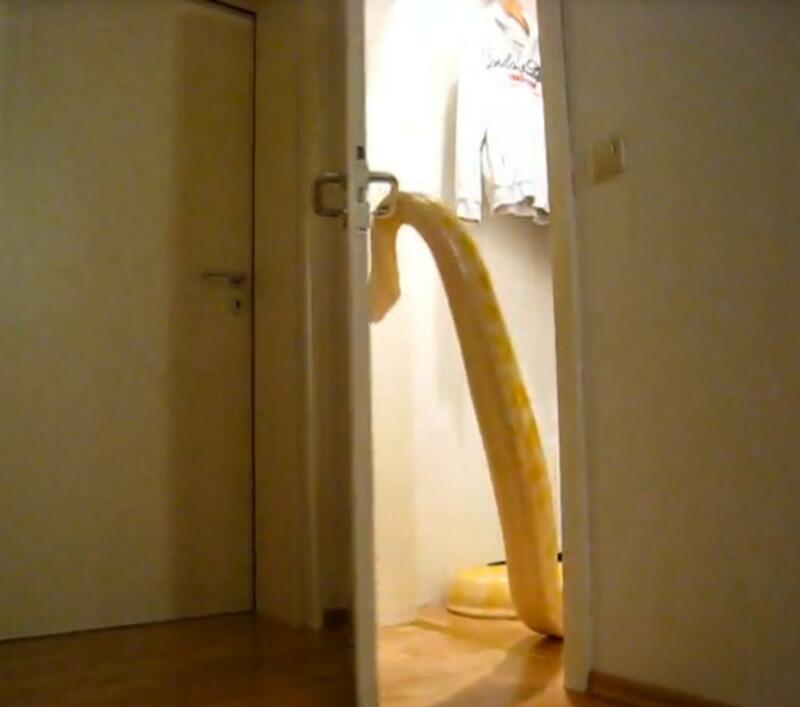 This assumption may however prove to be your undoing, as footage has emerged of every ophidiophobe’s worst nightmare: A snake that can open doors. Julius lives in Germany with his owner, a Vimeo user called Jenner, but for all we know he could be breaking down doors all over Europe and heading straight for your house since he’s seemingly no longer bound by the laws that every other snake lives by. It is said that this video was taken at 1am, when Julius got bored of being in a dark room. She turns on the light and then busts herself out of snake jail. The video – originally uploaded three years ago – stops before we are able to ascertain whether or not Julius is contained again.